Hotel Crystal Beach is located in the resort area of ​​Koblevo on the first line from the sea. The complex consists of two two-storey buildings. Cozy, comfortable rooms are equipped on the second floors. 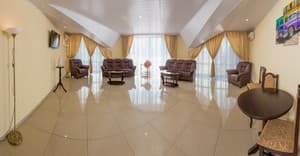 To the attention of tourists are offered 14 rooms of the category "standard", 3 - category "family", 5 - category "luxury" and 4 - category "apartments". 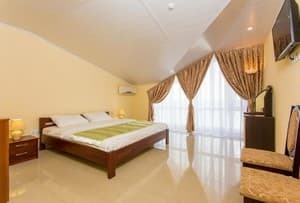 The rooms are equipped with comfortable modern furniture, LED TV, air conditioning and safe, bathroom with shower. Crystal Beach Hotel provides wireless Wi-Fi access to the Internet, parking and a children's playground. 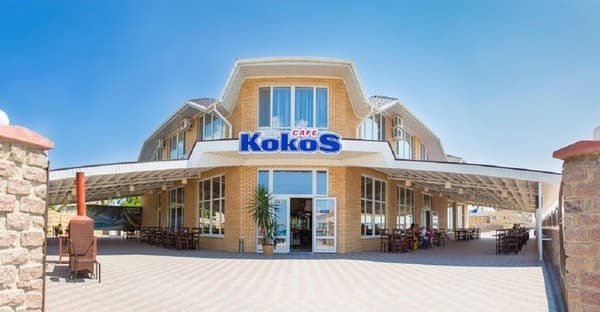 The hotel has a Coco-S café, which has two summer areas overlooking the sea shore, a partial self-service distribution line with a wide range of cold, hot first and second courses. The distance to Odessa is 60 km. Description of the room: The room category "Family" has two separate rooms. In the room there is a folding sofa, bedside tables, lamps, coffee table, hallway, eletric towel warmer, toiletries, towel sets, bed linen. Hot water is available around the clock. The room is designed for four people, but it is possible to settle two more in additional places. Description of the room: Apartment (2 rooms) - bedroom and living room. In the bedroom there is a double bed, bedside tables with lamps, a chest of drawers, a dressing table with a mirror, soft chairs. In the spacious living room there are two large folding sofas, a coffee table. Huge windows in the floor, amazing views of the sea will not leave anyone indifferent. The room is designed for two people, but it is possible to settle two more on additional places. Description of the room: Apartment (3 rooms) - two bedrooms and a living room. 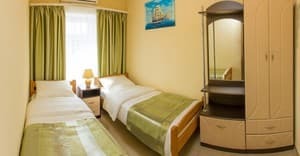 In the bedrooms there is a double bed, bedside tables with lamps, a chest of drawers, a dressing table with a mirror, soft chairs. In the spacious living room there are two large sofas, a coffee table. Huge windows in the floor, amazing views of the sea will not leave anyone indifferent. The room is designed for four people, but it is possible to settle two more in additional places. Расположение, вид на море из номера. Уборка - убирают редко, даже если просишь через день/два. И уборка некачественная. Взяли за ребенка(3 года) дополнительные деньги- не выдали полотенец, одеяло. Столовая-отдельный разговор, девушки-официанты без формы, еда ужасная. Грязный пляж. 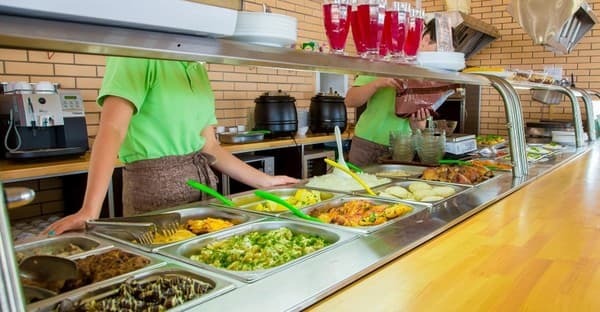 Стройка нового корпуса,питание без души, питались в другом кафе и вкуснее и дешевле,напрягал одесский навязчивый " сервис",постоянно ходили по пляжу и кричали в рупор торговцы рыбой, самсой,чипсами и прочим непотребом,в море было много больших медуз. The cost of accommodation at an additional location, please contact the receptionist (depending on the room category and the period of residence). Children under 2 years stay free of charge (without extra bed). Children under 7 years - 50% discount on extra bed. 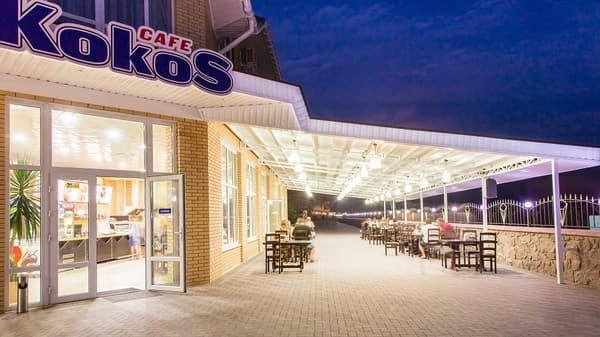 The hotel has a Coco-S café, which has two summer areas overlooking the sea shore, a partial self-service distribution line with a wide range of cold, hot first and second courses. 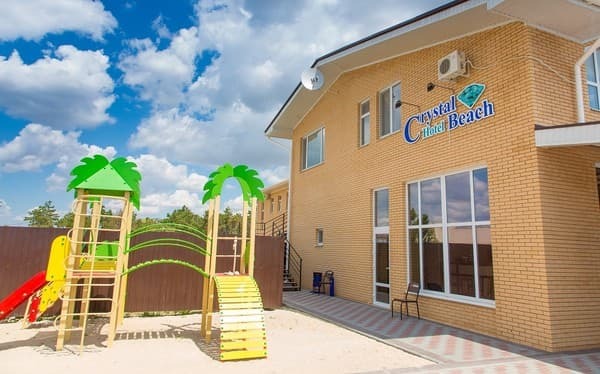 Hotel Crystal Beach is located in the resort area of ​​Koblevo on the first line from the sea. The distance to Odessa is 60 km. Transfer to the resort of Koblevo can be carried out from two neighboring regional centers - Odessa and Nikolaev. 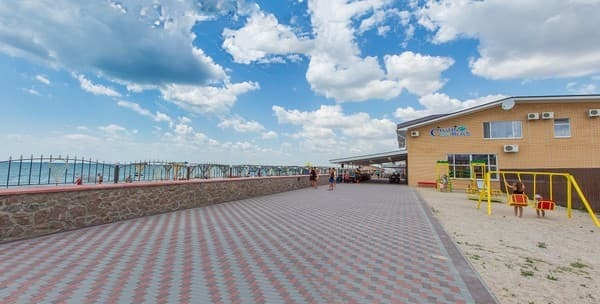 From Odessa, from the suburban bus station "Privoz" (500 m from the railway station), by the Odessa-Koblevo bus (directly to the resort zone). From the Nikolaev intercity bus station bus - Nikolaev-Koblevo. From the bus station in Koblevo directly to the recreation centers (4 km) every 30 minutes, shuttle buses run that pass along the boarding houses and recreation centers.